One of the quirkiest features of the NBA franchise is undoubtedly trading. In a league that is heavily invested in, closely following player stats and performance is one of the most major events taking place each year. Fans obsess over stars like LeBron James and Stephen Cury, while team rosters usually build around their central stars, exchanging players (and other advantages, like draft picks or cash). Correctly identifying opportunities to strengthen or reboot a roster might be the thing that does it for a team that has its eyes set on that coveted NBA championship title. Each team has its own strategy: major franchises usually invest in one or two star players and then build their roster around them. Teams with less leverage might opt for a well-rounded roster and invest in team spirit, hoping that each of their players will lift each other up, or they might go all in trying to get a major player and trusting that he will carry the team on his shoulders. Cleveland Cavaliers forward LeBron James. Sometimes, rising stars can be found in unlikely places: for example, the NBA Regular Season’s MVP favourites, as a rule, feature the usual heavy names, but they often also include a couple of players from less successful franchises, who nevertheless managed to set themselves apart. These rising stars are usually more susceptible to being traded, often seeking a move to bigger teams where they can truly shine. Established stars usually prefer to stick to the big franchises, in the hopes that they can write history with a team by helping them reach the finals without needing to fully carry their teammates. In 1975, the Milwaukee Bucks traded their superstar Kareem Abdul-Jabbar to the Lakers – and they have yet to see another NBA title in their history, having won only once with Abdul-Jabbar leading the team. Kareem replaced Wilt Chamberlain and helped revive the Lakers dominance in the 1980s, but the Bucks never really recovered from the loss, despite having many good players on their roster – they could not make up for the loss of their star leader. Yet Abdul-Jabbar was also anxious to move on from the Bucks, as Oscar Robertson’s retirement just a year prior meant that the Bucks were not as great as they once were and the chances of him reaching the finals with the Milwaukee team were significantly reduced. Another example of how a trade can impact a team was the most recent trade of Kyrie Irving from the Cleveland Cavaliers to the Boston Celtics, in return for Isaiah Thomas, Jae Crowder, Ante Žižić and two draft picks. The Cleveland team signed Dwayne Wade, got Derrick Rose back and held on to Kevin Love to build what was perceived as one of the strongest rosters around star LeBron James. However, things did not go as planned: Irving shone playing for the Celtics and Cleveland struggled to find their pace after the loss of a player that had been with them for six years. After an underwhelming performance, they shook up their roster pretty hard before the mid-season trading deadline, bidding farewell to stars like Wade, Crowder, Isaiah Thomas and Jae Crowder – all of whom they had acquired just months earlier. 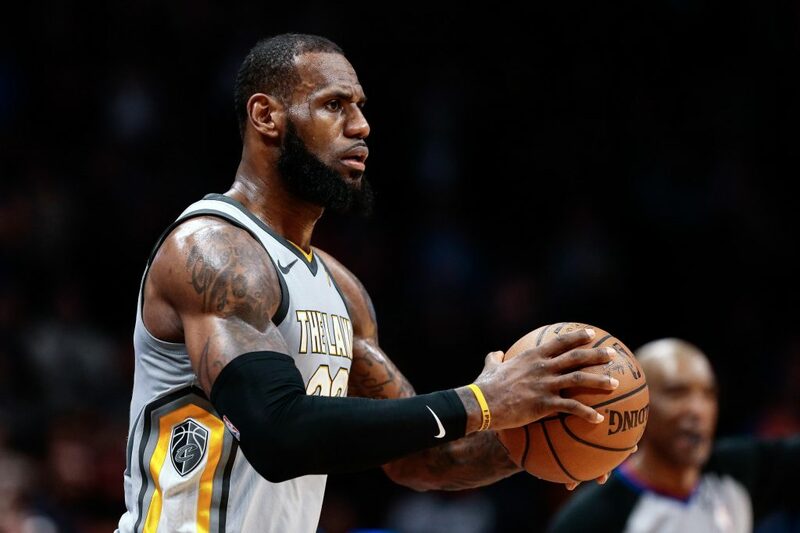 Sometimes a good reshuffle of a roster is all a team needs to reach stardom – but NBA is also all about playing as a team, even when you have superstars like LeBron on your roster. Teams that have players who carry each other can sometimes reach further than rosters relying on any single player.